stay tuned for more classes & art workshops in the future! 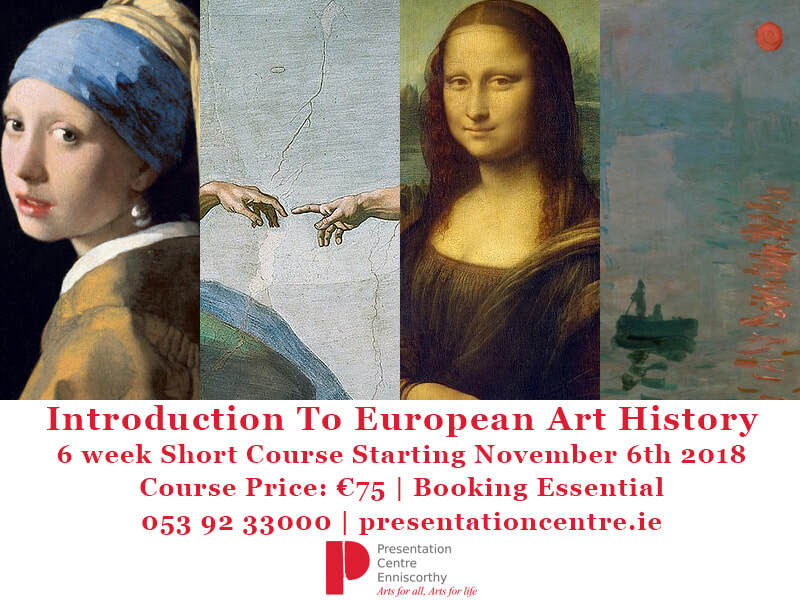 This six week short course will look at the key eras in European Art History. Covering crucial art developments from the ancient worlds of Greece & Rome to 20th century modern art, this course will examine a number of the key art works created within their unique social and cultural contexts. Book now by calling 053 92 33000 or visit the link below to book online!